If you’re a traveler, who better to ask where to eat or what to see than someone who actually lives and cohabitates in your destination? 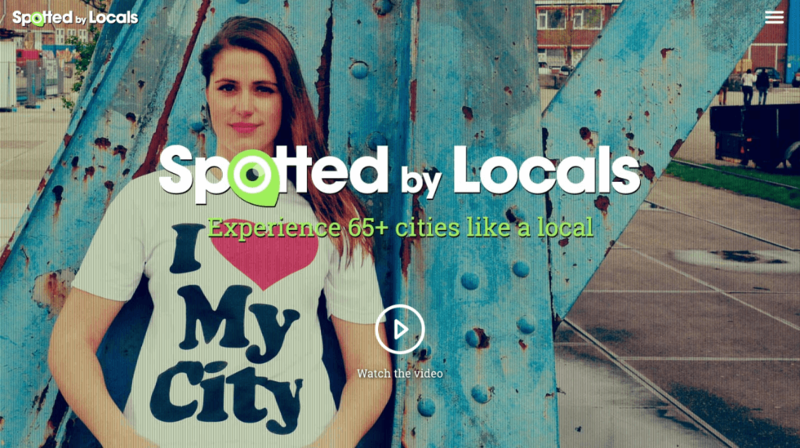 That’s how Spotted by Locals has become a force in the travel game, using iPhone and Android apps and up-to-date blogs tips by hand-picked locals in 67 cities across Europe and North America. And according to the company, it’s getting bigger and bolder. Spotted by Local Co-Founder Bart van Poll talked with RewardExpert.com about how the company came to fruition, and why it focuses on locals instead of travelers for the best feedback. “By encouraging travelers to experience destinations through the eyes of a local, we think we make a modest contribution to making the world a better place,” van Poll said. He started the company in 2008 with his wife, Sanne, after having bad travel experiences full of outdated travel guides that contained touristy destinations and defunct venues. They saw a vision to replace traditional, conformist travel recommendations with insider tips provided by locals themselves. It made sense to link locals with strangers in a productive way. “Halfway between practical and idealistic, we made the radical decision to quit our jobs, pack our old but trustworthy Opel Astra and venture across Europe for six months to start Spotted by Locals,” he said. The app hits all the right notes: it can be used offline or when Wi-Fi is unavailable; spots are listed nearby and can be saved as favorites; it only features local advice, rather than advice from travelers; and continuous updated keep travelers fresh full of options. Companies like Trip Advisor and Foursquare are the company’s biggest competitors, but they offer a different service: They provide advice based on the words and thoughts of travelers, instead of locals. That information can get outdated, too. Instead, Spotted by Locals uses city centric guides that include recommendations that have no commercial appeal, other than for the travelers themselves. Van Poll said the model lends itself to simple cost-cutting excursions, and it can be accomplished just by following the locals. “They know the best deals,” he said. Spotted by Locals might be invading your hometown soon. The company is expanding to the Middle East and Eastern Europe, looking at destinations that include Abu Dhabi, Amman, Baku, Beirut, Cairo, Chisinau, Dubai, Jerusalem, Minsk, Nicosia, Podgorica, Pristina, Riyadh, Tasjkent, Tblisi, Tehran and Yerevan. That’s just a sample, van Poll said. He encourages people from all big cities in those areas to join in the fun and apply to help travelers get the local treatment.